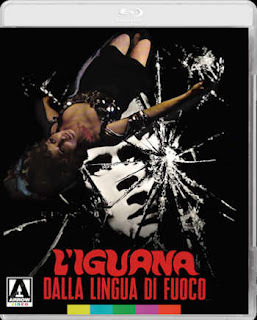 Arrow video are to release Riccardo Freda's cult Giallo THE IGUANA WITH THE TONGUE OF FIRE to UK Blu-Ray, along with a limited edition soundtrack on 12" vinyl of Stelvio Cipriani's score, this April. SLAUGHTERHOUSE RULEZ - UK BD review. EVIL DEAD 2 - 4K UHD/BD review.